My word for 2017: NEST. I have always been drawn to birds and their ability to make their nests exactly how and where they wanted or needed to. One of my earliest vivid memories is reading how penguins build rock nests. Even in the most barren or rockiest of terrains, birds know to make the nest they need in order to make it before the often sudden change in season. Whether the rains hit, the temperature drops or the snow falls, nesting birds make themselves ready by preparing their nests. Not only as their places of refuge and comfort, but where they live. In Oct 2015, the following word was shared via a Twitter user as a Word from the Lord. It so resonated with me that I printed it, so I could meditate over it and ask God what He wanted to say to me about it. It ended up in the back of a notebook I somehow stopped using (actually misplaced) until recently, which I know now is His timing. Create a nest inside of you where My heart can reside. God wants me to make a place within me where He can nest! And by doing so, I will learn how to nest there with Him. So 2017 for me is nesting season. 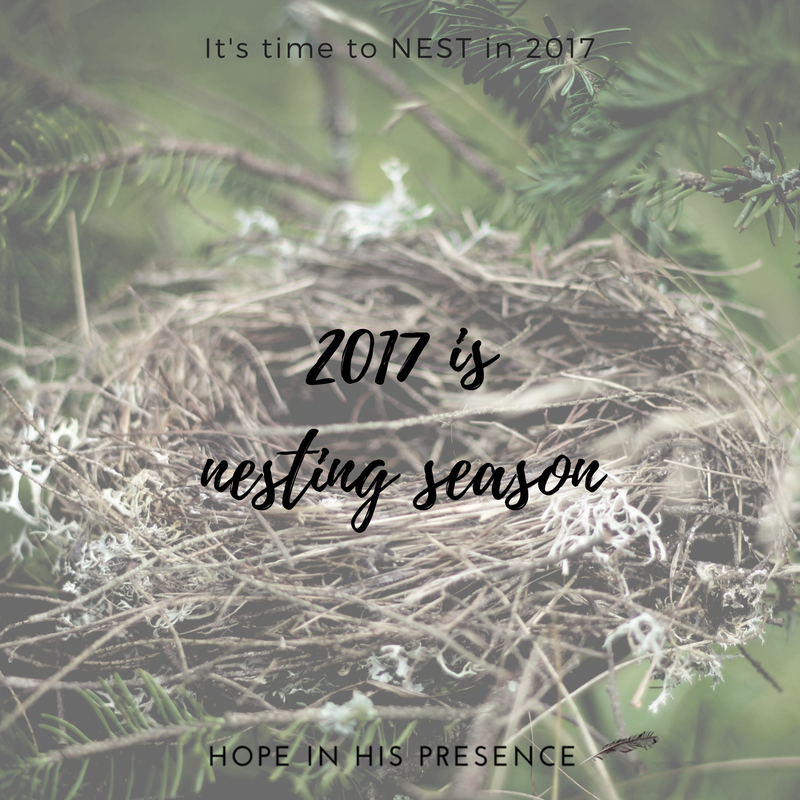 Where learning how He desires me to nest, making a nesting place for Him within, and spending time with Him there through every moment up ahead in 2017. Maybe you too need to learn how to nest again. To nestle up in His lap, snuggle into His loving arms and just be together. You too might need to shuffle some internal beliefs around ourselves to make more nesting space for Him to embrace. 2017 is the year of the NEST. No matter what has happened in the past, this can be our best year yet when we make more room for God inside of us, and spend more time in His Presence. Previous LOST IN WONDER… Oh dear. Thanks Carolina. Blessings to you and yours this New Year!